Malcom O’Hagan, and his museum, are distinct amongst his fellow panelists and their institutions. A retired engineer, O’Hagan describes himself, saying, “I’m black and white person…not a creative cell in my body.” And while he notes his passion for literature, his self-deprecating tone prevails, “I’m not a very good reader but I like book clubs because they have better readers than me.” Despite his playful put-downs, O’Hagan is undoubtedly a driven, innovative, and intellectual man as evidenced by his goal of creating the first ever American Writers Museum. 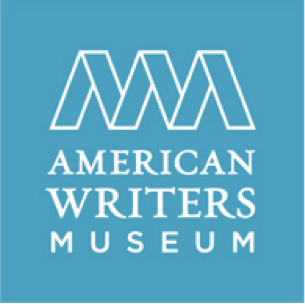 Still in the stages of development, the American Writers Museum is set to open in Chicago in 2017. O’Hagan hopes that his institution will, “help people understand the impact of writers on history”. This goal, however, is deceptively difficult. “Looking at book,” O’Hagan asserts, “is not very inspirational.” To demonstrate his point, he uses the Gutenberg Bible in the Library of Congress as an example. Displayed behind glass, the book, though monumentally significant, offers audiences little in the way of experience. To truly understand the artifact, O’Hagan argues that you need to know the context of the object, “tell me the story, take me from the manuscript to the printing press.” But how to best tell writer’s stories is a constant methodological conundrum—one which O’Hagan is determined to tackle.